Our pizza cutters are made out of Walnut and Maple accompanied with stainless steel componentry. The pizza cutters have a razor sharp blade and look. 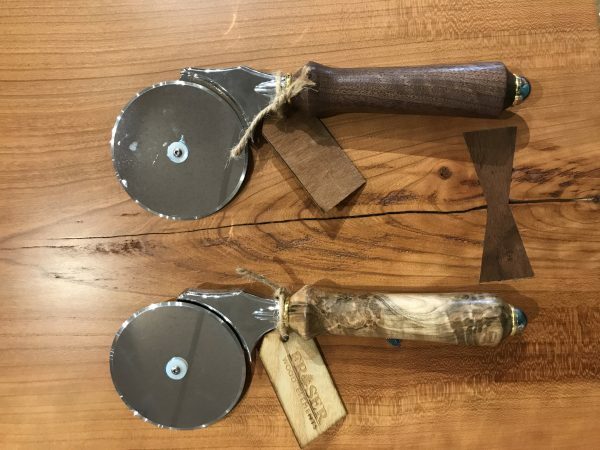 Call or come see us to check out these one of a kind utensils!